As these pockets of images have come to take over the walls of my studio, the work acts like many cells that are dividing to create new methods of reorganizing and categorization. Moving about in the studio while sorting new clippings and moving around others, I create a buzz of action. 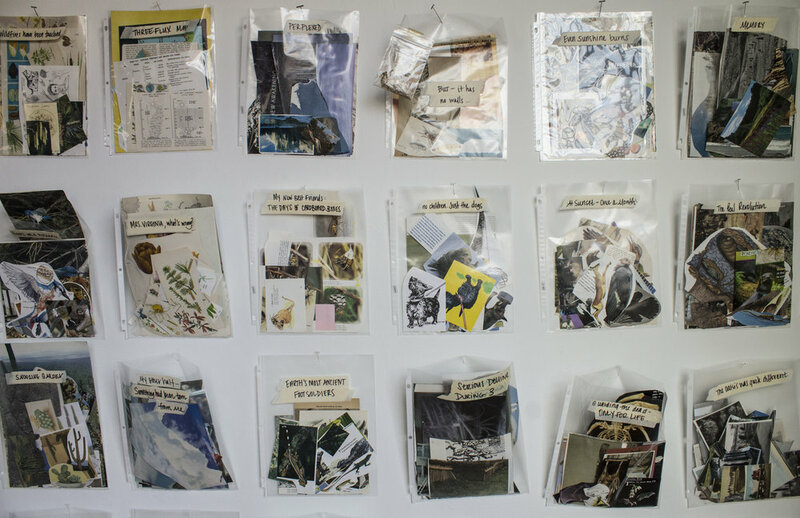 Collecting from old books, magazines, library scans, and other found materials, this work acts as an on-going creative reservoir of imagery, data, and raw materials. The labels are nudges towards a narrative. The folders of imagery are poetic in their ambiguity, but within them there is sustenance in text and powerful visuals. The viewer can create their own dialogue and relationship with the pockets on an individual level. 2017-ongoing.